“This college-level textbook gives students skills and knowledge that will help them incorporate GIS and remote sensing into decision making as they pursue careers in government, business, and other organizations. With that in mind, exercises are presented as scenarios. 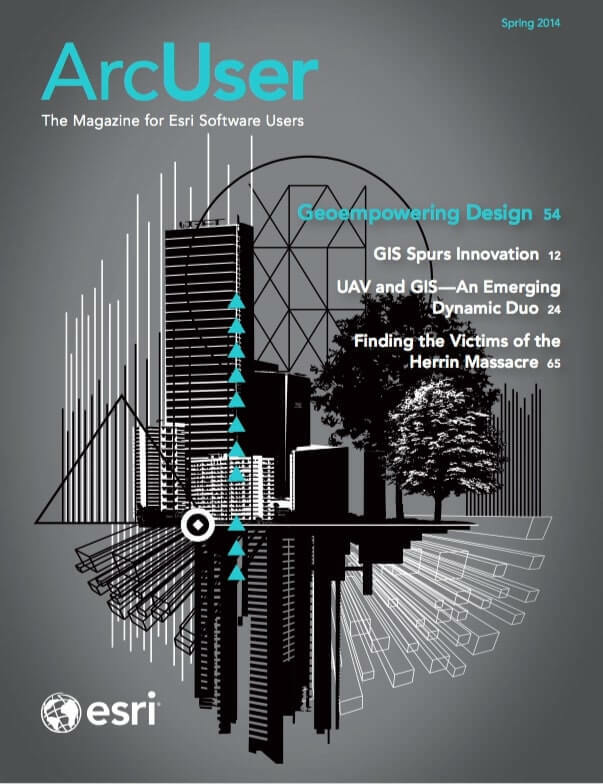 These lessons focus on employing a GIS workflow that documents the process and systematically approaches solving the problem. 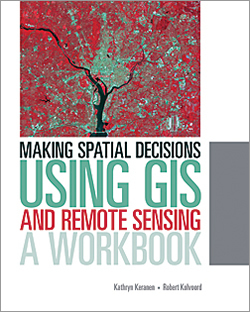 Making Spatial Decisions Using GIS and Remote Sensing: A Workbook is the first workbook to highlight the image processing capabilities in ArcGIS software. Designed to complement remote-sensing textbooks in an undergraduate curriculum, this workbook teaches students image processing and analysis skills with ArcGIS 10.1 for Desktop. It assumes some prior knowledge of GIS but will teach how those capabilities are used with remotely sensed data. The modules move from exercises that provide a better understanding of various types of imagery to ones that use imagery in GIS to measure change caused by urban development and drought. Each module contains two scripted projects and a third “On your own” project that requires students to select a problem and study area and apply the techniques learned in the previous projects. An accompanying DVD contains the Landsat imagery, maps, and worksheets required for the projects. Students can download a trial version of ArcGIS 10.1 for Desktop Advanced software that is good for 180 days. Instructor resources are available.